Place the stick of butter in the bottom of a 9x13 pan and put in the oven to melt as the oven preheats to 350 degrees. Whisk together the flour, sugar and milk. 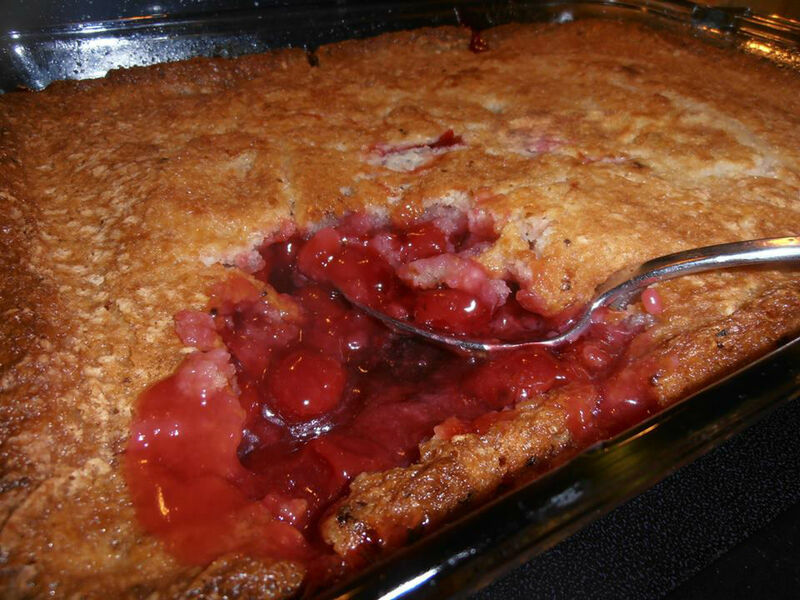 Once the butter is melted and the oven has preheated, pour the cobbler mixture into the pan to cover the bottom. Spoon the pie filling all over the top, DO NOT STIR, and then place back in the oven for 35-40 minutes or until golden brown on top.